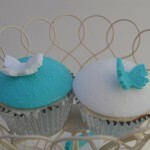 Delicious cupcakes can be personalised in a variety of ways and they also make a perfect gift. They are great for lots of occasions, such as – birthdays, anniversaries, christenings, weddings, Easter, Halloween or corporate events. Whatever the occasion or event – there is a cupcake for it. 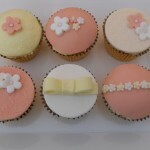 Our cupcakes are freshly baked using the finest ingredients. Delicious cupcakes can be personalised in a variety of ways by hand decorating the cupcakes to your requirements; theme, or colour scheme. 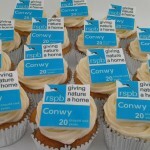 24+ cupcakes Please ask for a personalised quote.